Guess what! Men have Nose Jobs, Too. Radio host, America’s Got Talent judge and star of Full Frontal, Stern is known for his outrageous and very public form of rude comedy – and for his dramatic nose job. He’s also had lipo done under his chin. These are just the stars who’ve admitted to having nose jobs. There are plenty more whose older pictures and latest celebrity shots look markedly different – including Ryan Gosling, Vince Vaughn, Freddie Prinze Jr and RPatz. No-one knows for sure, and they aren’t telling! However, it’s not necessary to have a nose job to alter the shape of your nose! Nose Secret can change the shape of your nose for a night or over time, and more and more men are taking advantage of it. If you are a guy looking to improve your appearance, Nose Secret give you a discreet way to alter your nose shape without a nose job. 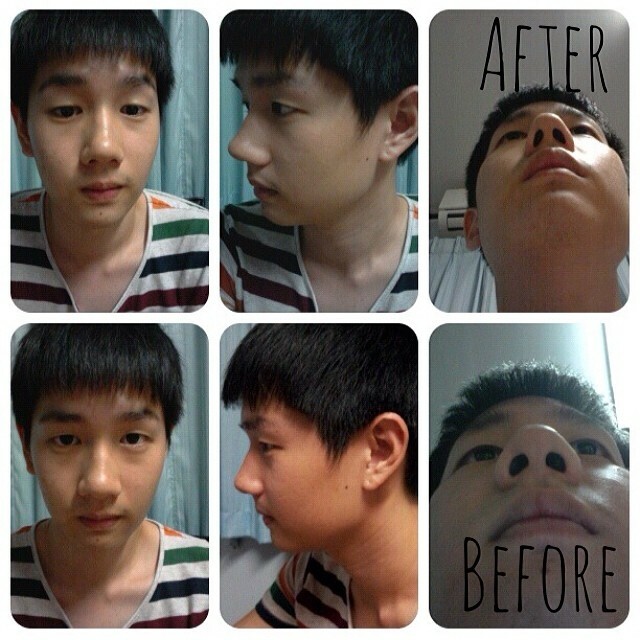 Skip the surgery, save the money and try Nose Secret. It works! Previous PostNose Secret Halloween SaleNext PostWhy Try Nose Correctors Over Nose Job Surgeries?